Even better, it gets to this point rather quickly, blasting into "Flexecution" out of the intro in one of the smoothest transitions that I've heard in a while. It reminds me of Kid Cudi's Man on the Moon, where one song would begin before you even realized that the last one had ended. 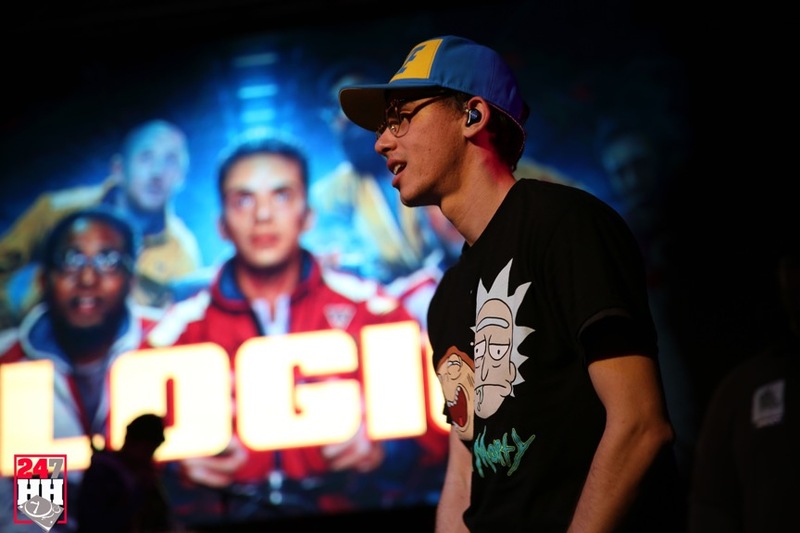 It is an amazing track, full of braggadocio that Logic does not usually show on his tracks. He has the technical chops to back up his claims, as he lays on lines like, "this is what the people said they wanted from the young boys, from the, from the, from the God." It's a type of swagger that is unusual for him, but he manages to pull it off, filling the shoes well, rapping quickly over an earworm of a beat, and carrying this tone through the majority of the project, calling himself out as the Rap God. No longer is he a newbie to the rap game. He's made it. He's on tour. He can spread his wings, flex his muscles, and show off a little bit. And he wants you to know it. While it is a different tone, it is still distinctively Logic. From the beats to the delivery, it is unmistakable as the young artist. And like many small projects it makes you wonder what is coming next from him. The Incredible True Story was a great album, but it felt a lot like Under Pressure to me. So to see him depart from his wheelhouse is exciting., and he's damn good at delivering thumping, heart-racing lines. Aside from the intentionally cheesy interlude that I want to skip every time I hear and a couple of non-tracks, he manages to deliver a great performance. Standout tracks, "Flexicution", "The Jam", and "Super Mario World" will be sticking around for a while for me.